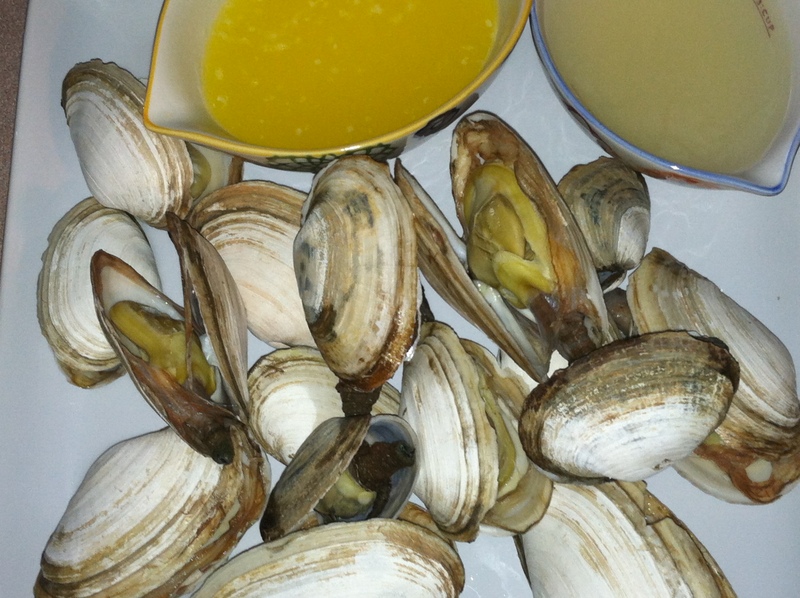 I owed Mikey and also made this for my own selfish needs (i need more diversity on my food blog and being a non-seafood-eating-person I tend to be lacking on the seafood category) Anyways because I have never made these before in my life i hopped onto my ever-trusty-google-machine and stumbled upon this recipe which seemed pretty much fool proof! 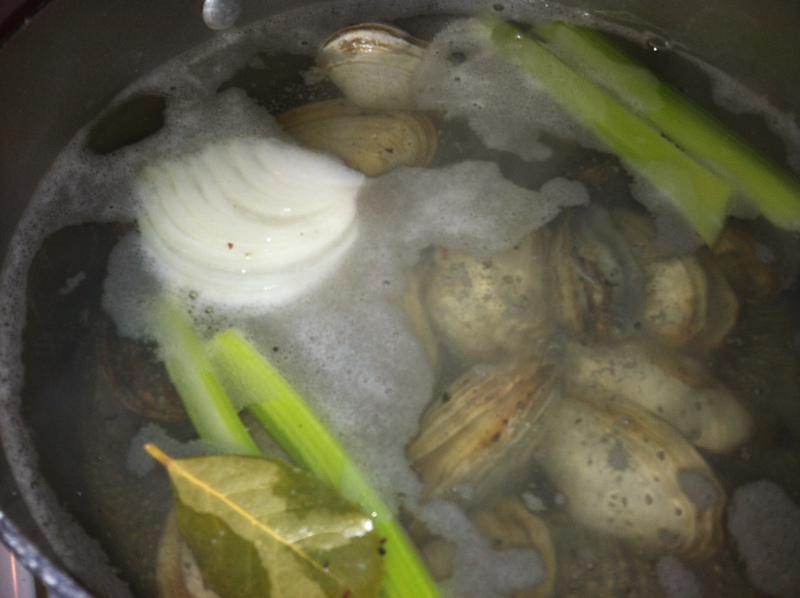 Wile you soak your steamers in a large bowl of salted water to rid them of their sand and grossness drink some wine to give them a proper send off! 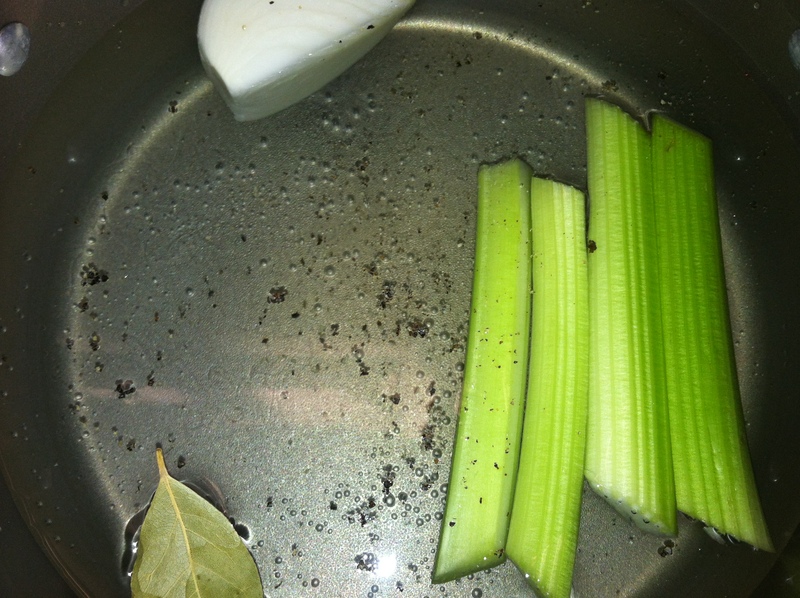 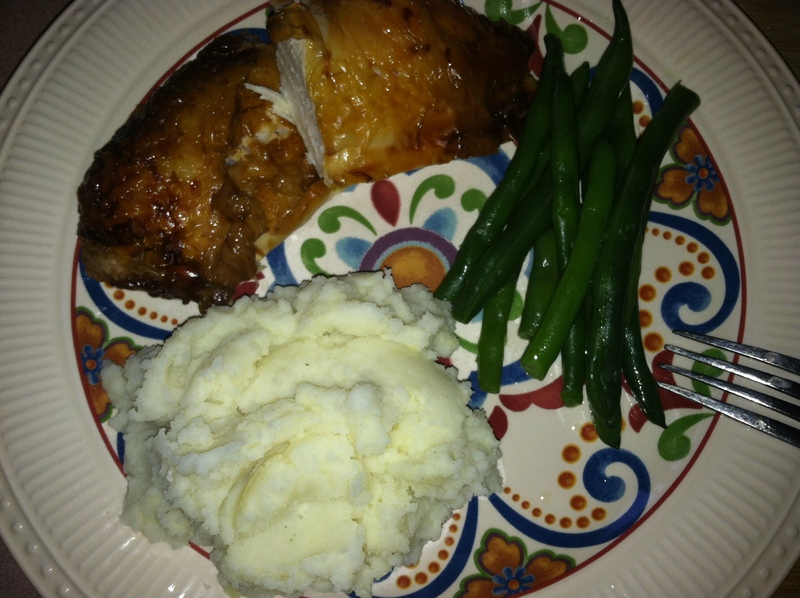 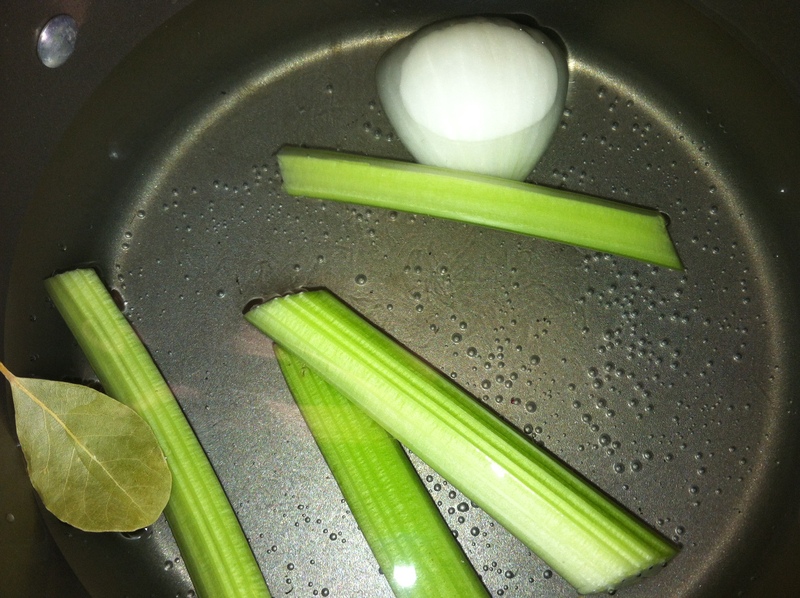 Fill a large pot with 2 1/2 cups of water and toss in the onion, celery, and bay leaf. 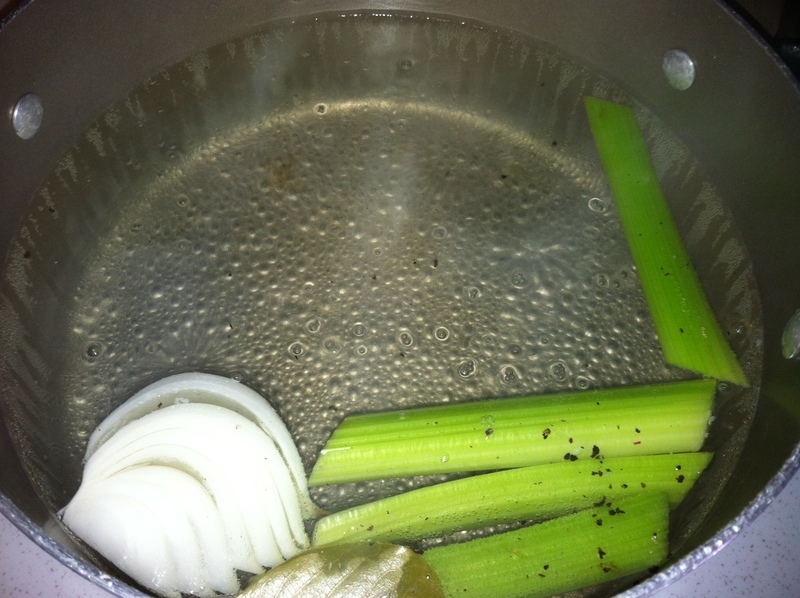 Add a heavy pinch of salt and black pepper. 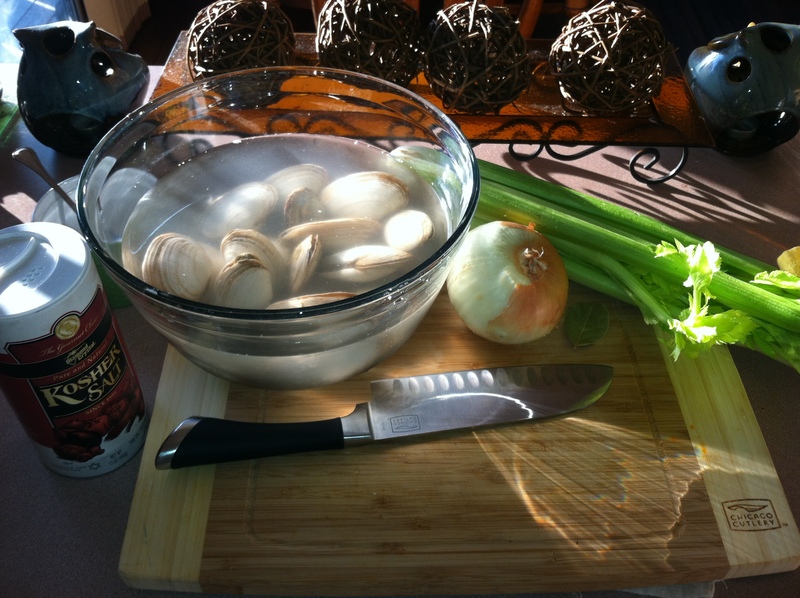 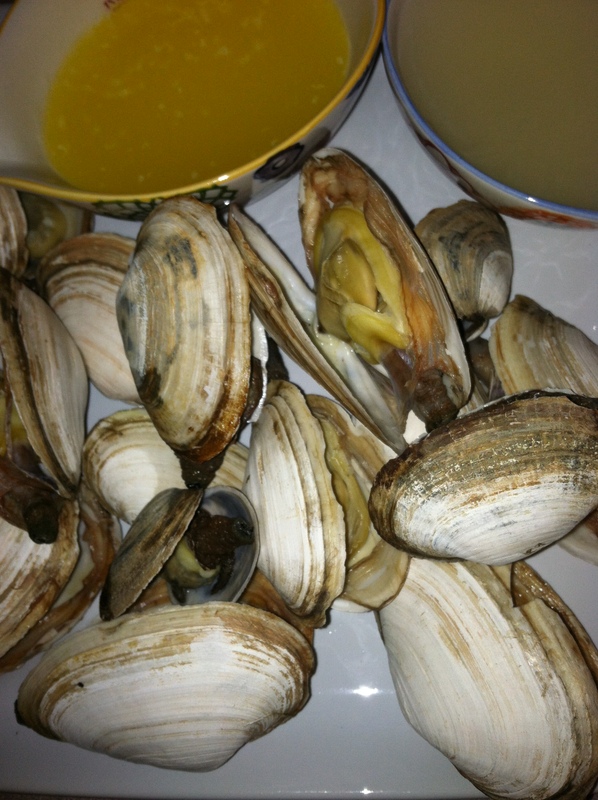 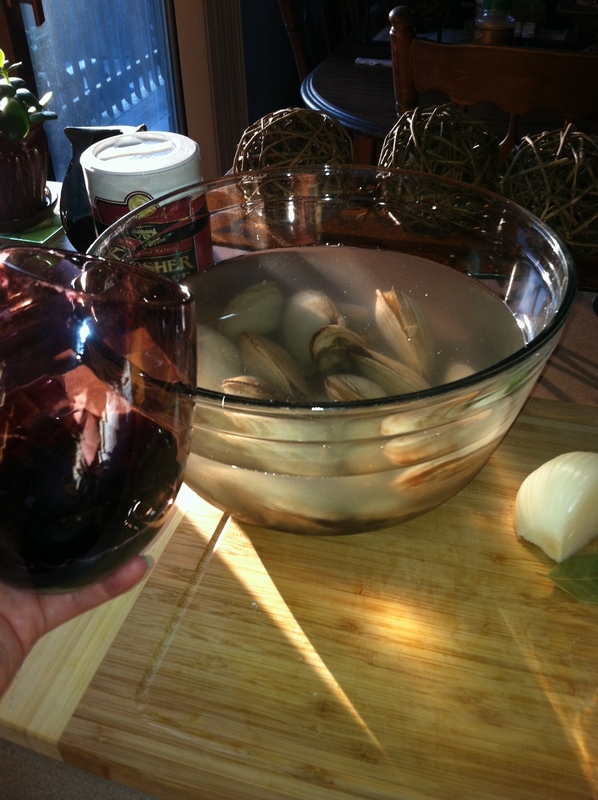 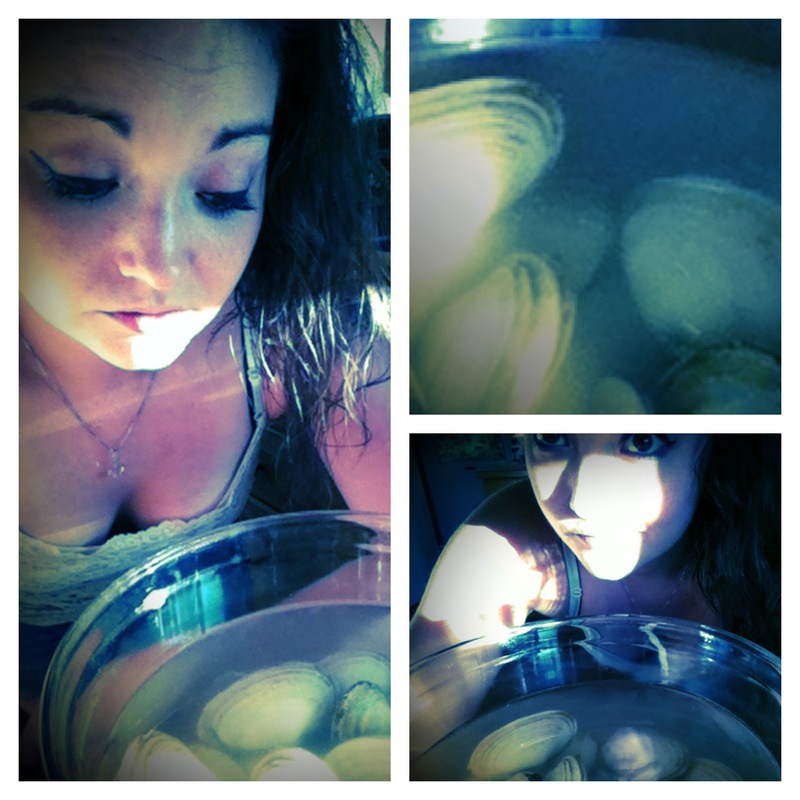 While you wait for it to come to a boil, drink some more wine and have a hart to hart with your steamer clams…. 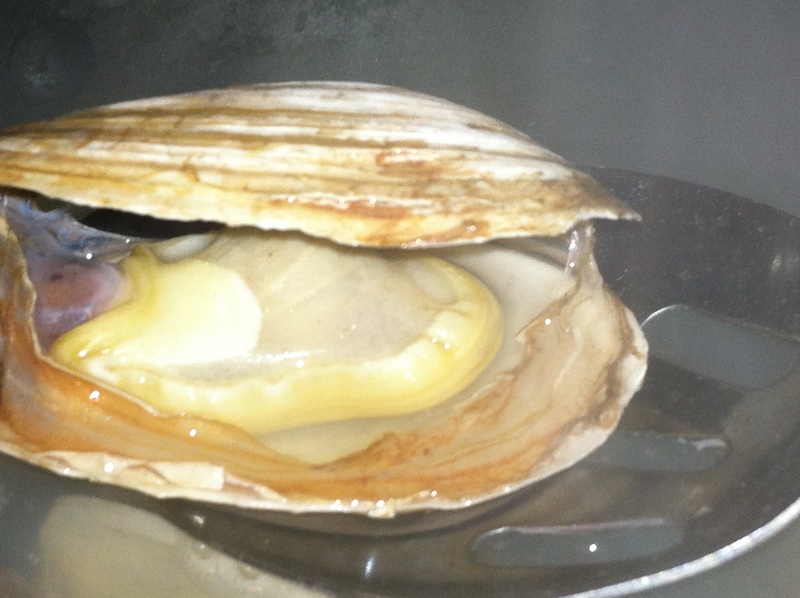 Allow them to boil for 10-12 minutes or until they have all opened their shells. 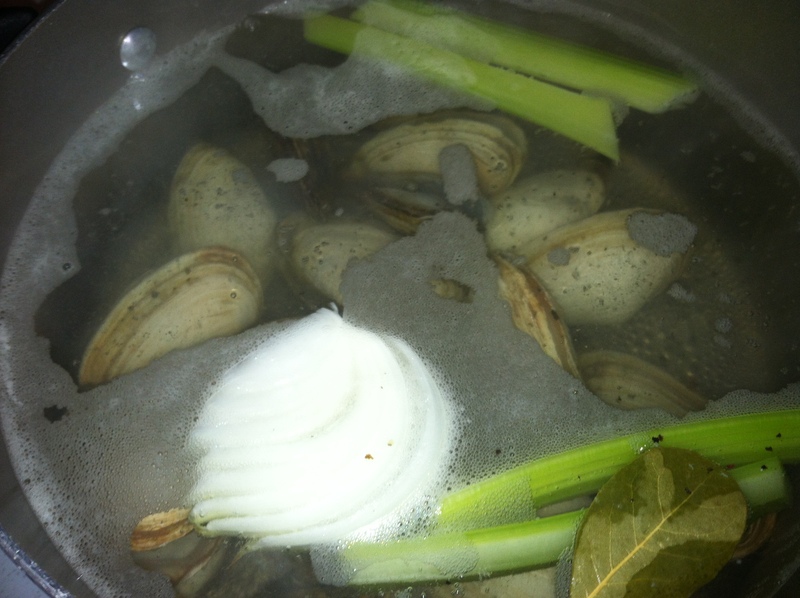 Reserve 1 cup of the broth (to clean them) and serve along side melted butter and some lemon slices.